Bulls say Model 3 production difficulties may be ending, while bears believe the worst isn't over for Tesla. Tesla Inc.'s (TSLA - Get Report) stock sagged on Thursday after the company produced and delivered far fewer Model 3 sedans than CEO Elon Musk had promised. Wall Street analysts were divided on whether the shortfall will shape up to be a temporary setback or whether it could set the stage for persistent production delays. Tesla said late Wednesday that it delivered 1,500 of its Model 3 vehicles in the fourth quarter, which is sharply lower than the 4,100 cars it projected earlier. 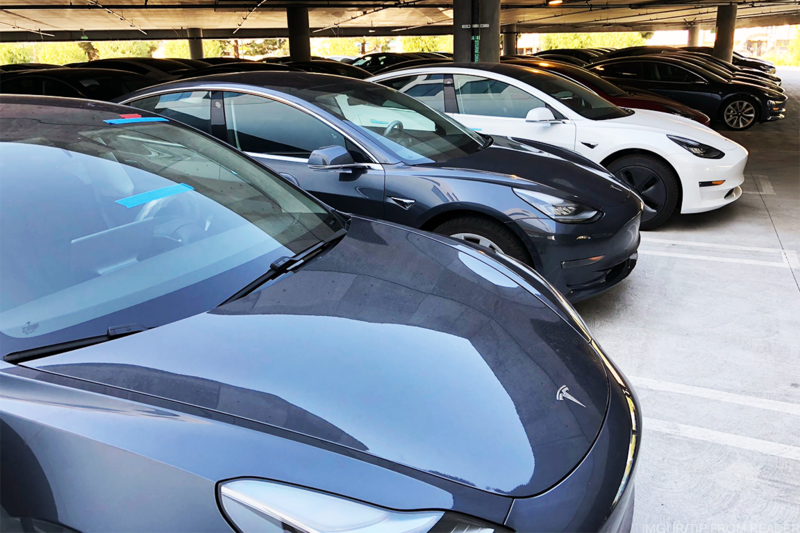 The company produced 2,425 Model 3's during the period and revised lower its weekly run rate in the fiscal first quarter to 2,500 vehicles from 5,000 vehicles. Shares of Tesla closed lower by 0.8% to $314.62 on Thursday. The stock climbed more than 44% in 2017 vs. the S&P 500's gain of 19.4%. The Model 3 sedan, billed as Tesla's cheapest model yet, has been pegged as the company's best chance at achieving profitability and becoming a mainstream automaker since it was first announced in 2016. Tesla produced 2,425 of its Model 3 sedans in the third quarter, sharply missing Wall Street's estimates. Tesla produced roughly 50% of the 2,425 Model 3 sedans in the last seven days of the quarter, said Jefferies analyst Philippe Houchois in a research note. This indicates that Tesla is approaching a weekly run-rate of 1,000 units, he noted, which could make Tesla's goal of 2,500 vehicles per week more attainable. The run rate also shows that Tesla's production constraints may be improving, said Nomura analyst Romit Shah. The production revisions may create downward pressure on Tesla's stock in the near term, but Shah said the company could ultimately be doing it for good reason. "We believe Tesla is prioritizing quality control," Shah explained. "While Tesla's repeated guidance revisions could begin to risk damaging its elite brand, a mass-recall would probably be far more damaging. We believe that Tesla is (correctly) taking advantage of its unique beta testing ecosystem." If an issue is caught by customers early on, he said Tesla's "versatile assembly process" can rapidly address them. Tesla can also afford to take its time with Model 3 production ramp, given the fact that it faces limited, meaningful competition in the electric vehicle market, Shah said. Most competing electric vehicle plans are at least three to five years away from reaching a scale rival to Tesla, while the company has a major advantage over competitors due to its in-house battery technology. Still, the ramp up in Model 3 production has done little to erase some analysts' concerns surrounding Tesla's cash burn. The company has required cash infusions over the past several years in order to meet Musk's ambitious production goals. Houchois, the Jefferies analyst, expects that Tesla will need to raise between $2.5 billion to $3 billion worth of capital to complete the ramp up. Bernstein analyst Toni Sacconaghi said he expects Tesla to approach negative free cash flow of "$1 billion or worse" in the fourth quarter and fiscal first quarter, which could further erode the company's cash balanace. "Perhaps most importantly, low Model 3 volume for the next half year means Tesla is likely going to continue burning through significant cash... with a capital raise increasingly likely, or a potential cutback to future capex," Sacconaghi added. Weaker-than-expected Model 3 deliveries and increased inventory could mean that the company misses Wall Street's estimates for fourth-quarter gross margins, he said. Oppenheimer analyst Colin Rusch said Tesla's fourth-quarter results will be "very telling" about the health of its balance sheet and whether Tesla will need another capital injection in 2018. "We remain on the sidelines," Rusch added.